The roof-prism design makes it possible for Levenhuk Karma PRO 16x42 Binoculars to be quite compact despite their large objective lenses. 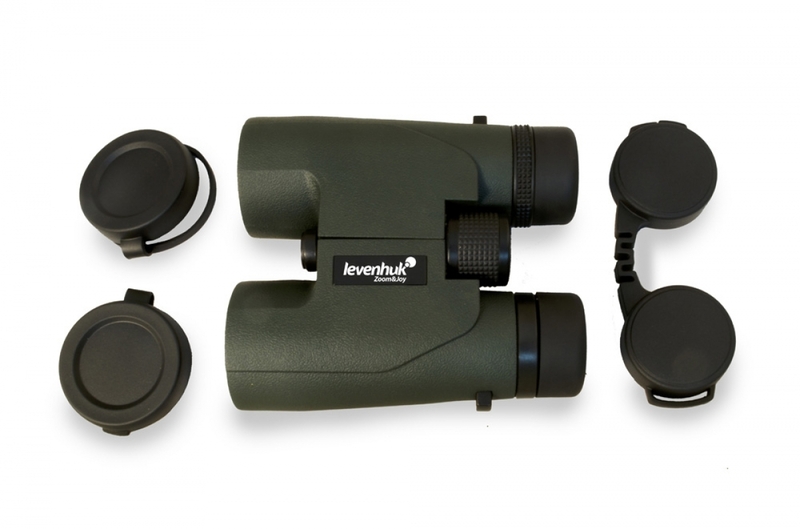 An important feature of all Levenhuk Karma binoculars is four-element construction of the eyepieces, which allows achieving maximum image quality. 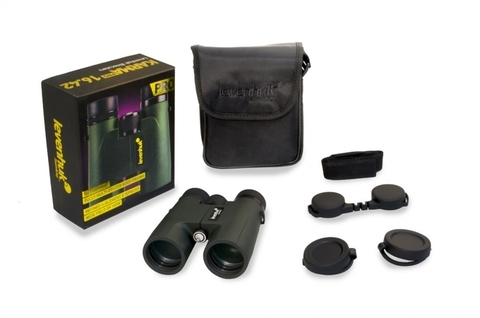 The lenses are also covered with full multilayer coating to increase light transmission. To prevent the optics from fogging, the shell of this model is filled with nitrogen. 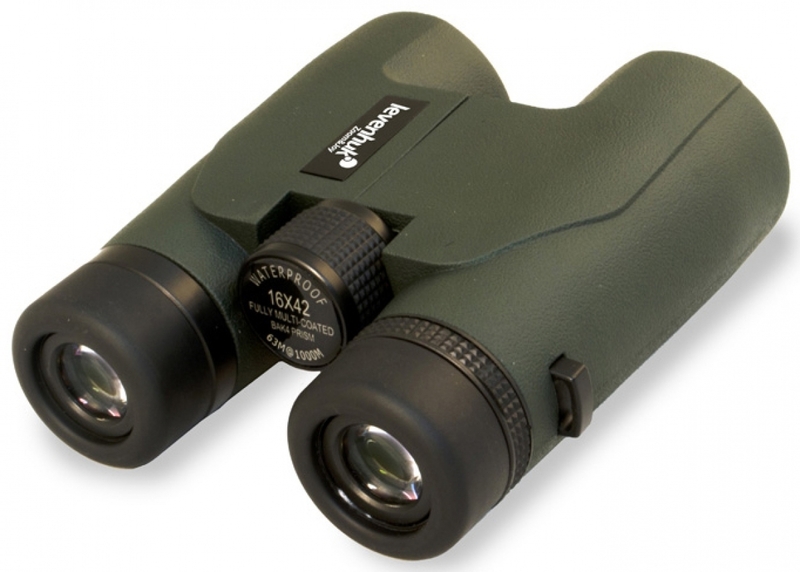 Levenhuk Karma PRO 16x42 Binoculars produce bright, clear, living images with correct color rendition under any conditions! It’s very easy to adjust Levenhuk Karma PRO 16x42 Binoculars to your individual eyesight. 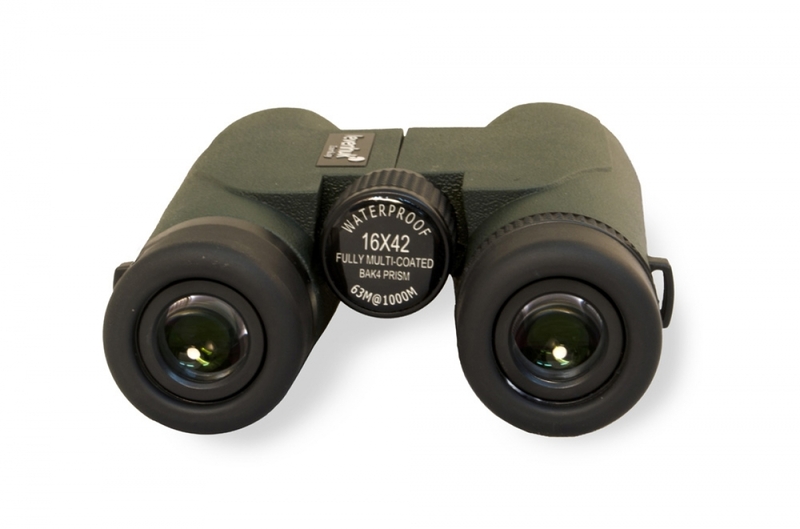 You can change interpupillary distance and easily adjust diopters with the diopter adjustment ring on the right eyepiece. It’s very convenient to set the desired distance between the eyepieces and your eyes by using the twist-up eyecups. 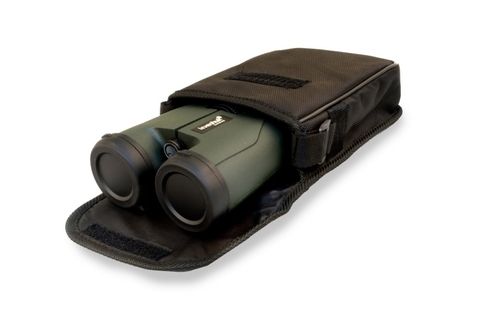 The embossed rubberized shell of army green color doesn’t slip in your hands. 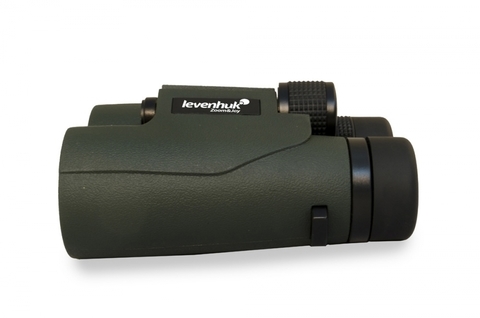 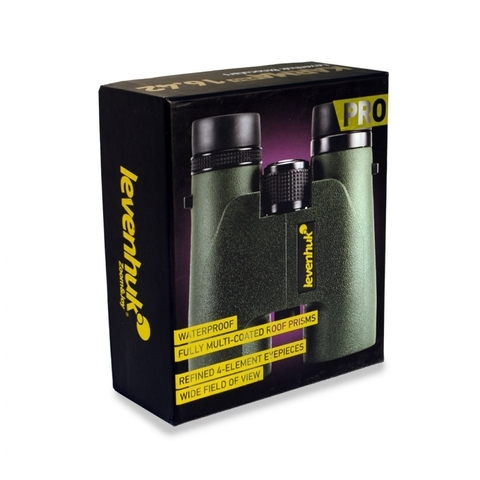 Levenhuk Karma PRO 16x42 Binoculars are completely waterproof, so you can use them in any weather!